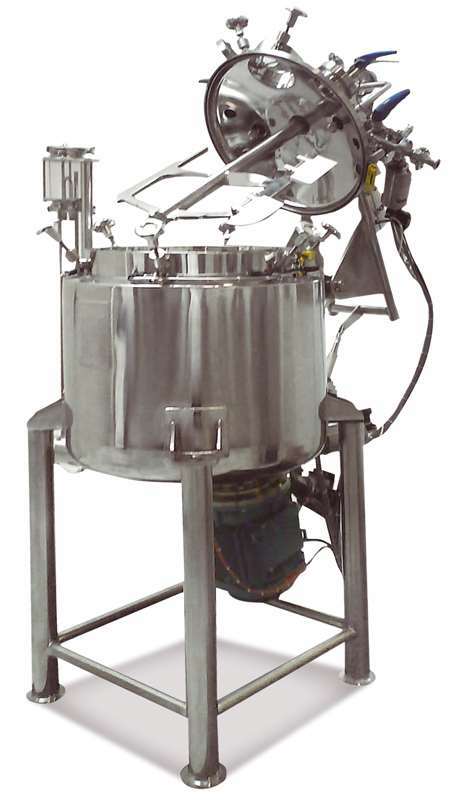 The range of VISCOMIX equipment is intended for production of highly viscous pharmaceutical products. 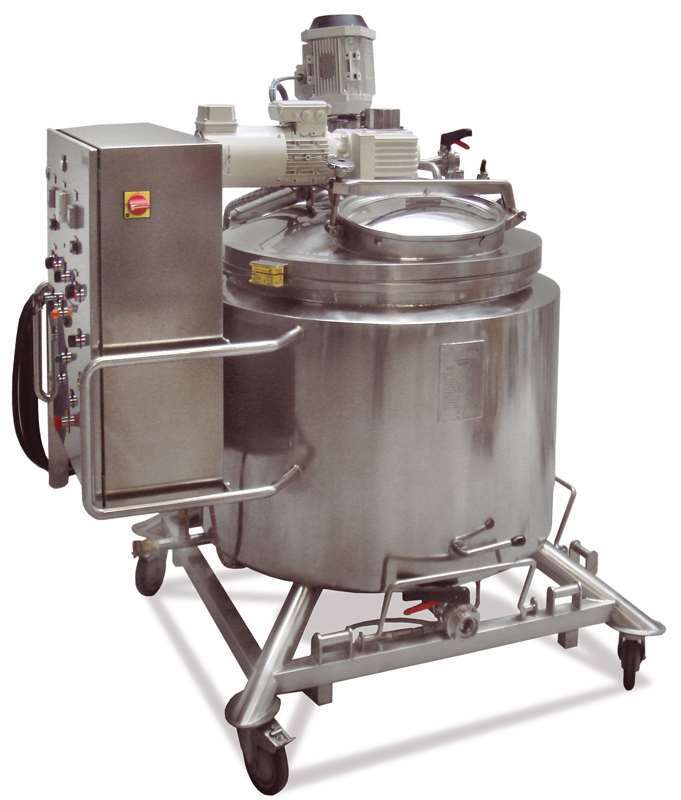 The tank is provided with counter-blades to promote mixing of the viscous product. Its design permits operating under pressure and in vacuum. The tank is jacketed for product heating. The ingredients are introduced through the nozzles at the top of the unit, manhole or through a valve at the bottom of the tank if the equipment operates in vacuum. The anchor-type agitator with scrapers makes the product homogeneous and prevents the product from overheating at the wall. 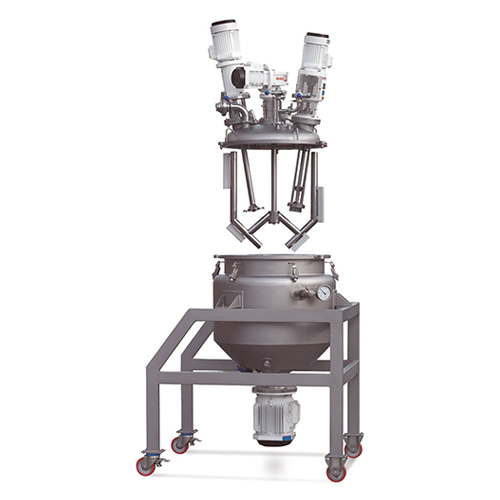 If the equipment is provided with a bottom high shear mixer (ME-6100), it is possible to create high quality emulsions, dispersions or dissolution without lumps. The agitator speed and the temperature are controlled from the electrical panel. The features of the units are: tank with the Ra ≤ 0,5 μm surface finish of all the parts in contact with the product, clamp connections, and the main component is a vertical anchor type agitator with scrapers, provided with a single mechanical seal allowing dry running (CXC range). Electric lifter for the top of the unit.